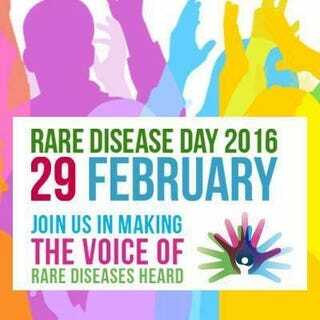 February 29th, the rarest day on the calendar, is Rare Disease Day. I live with CRPS (formerly known as RSD), an extremely painful nerve condition that makes the nerves in my right foot constantly misfire. I have a neurostimulator in my spine to try to help with the pain, but it is currently broken. I use a cocktail of medication to make it so I can walk, but I still am always in pain. There are many rare diseases out there and many have no effective treatments because so little research is done on them. Take today to educate yourself about a rare disease, and maybe even donate to an organization that supports research on a rare disease. Most importantly, ask your friends and family who live with rare diseases how you can support them best. If anyone would like to educate others about rare diseases you or someone you love lives with in the comments, that would be wonderful. Also, if anyone has any questions, I am happy to answer them. I hope you all have a wonderful Leap Day! Here’s a video of my bunnies when they were teeny babies trying out their first “leaps!” Turn your speakers up to hear adorable baby bunny squeaks!